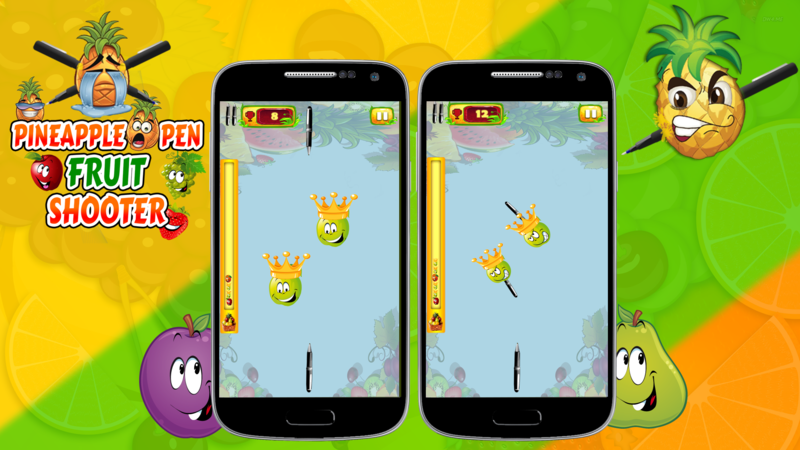 No make your boring time fun time by playing a simple fun 2D endless game and score highest in the game. All you need is to stick a pen into a fruit. Who knew putting them together would be so fun? Have fun by hitting the fruit with the pen in an exciting fruit mania game. 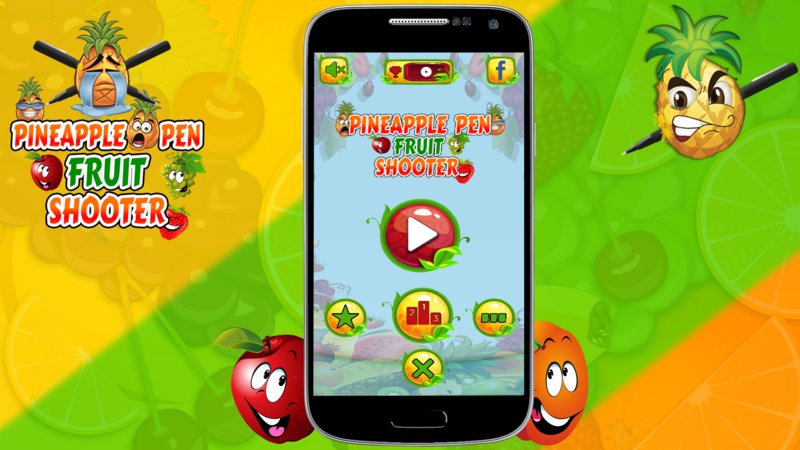 Hit multiple colourful and juicy fruits and the pineapple in the endless pineapple pen fruit shooter game and make the highest score in the fun 2D game. 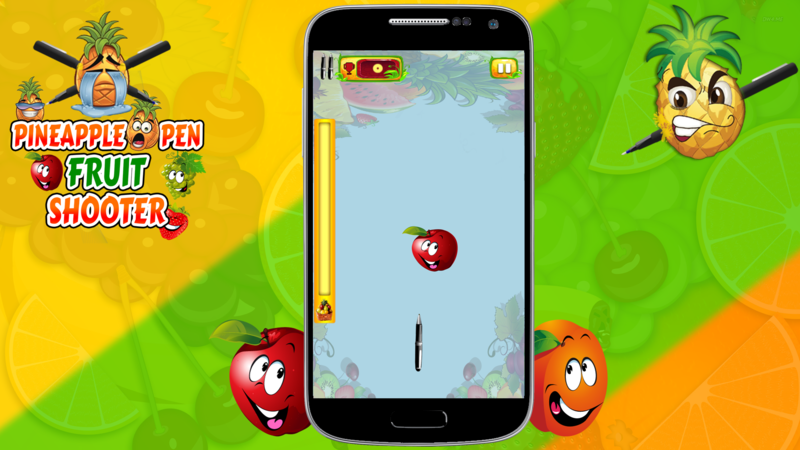 Throw the pen on the moving fruits and try to hit them with a single shot. 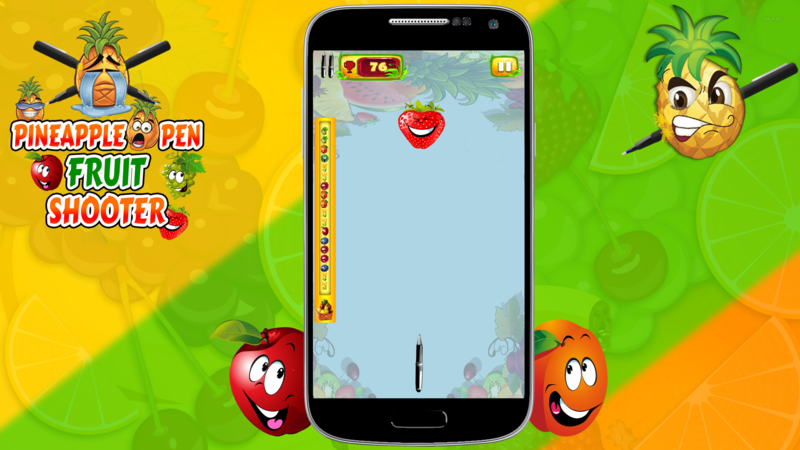 Throw the pen towards the fruit with a single tap on the screen. Use your timing and throwing skills to hit the fruits accurately on time without losing a pen. With the 3 pen to hit the fruits it is easy to make the highest scores in the pineapple pen fruit shooting 2D game and to challenge the friends by making the highest score in the game leaderboard and achieving the 1st position among all the players around the world. 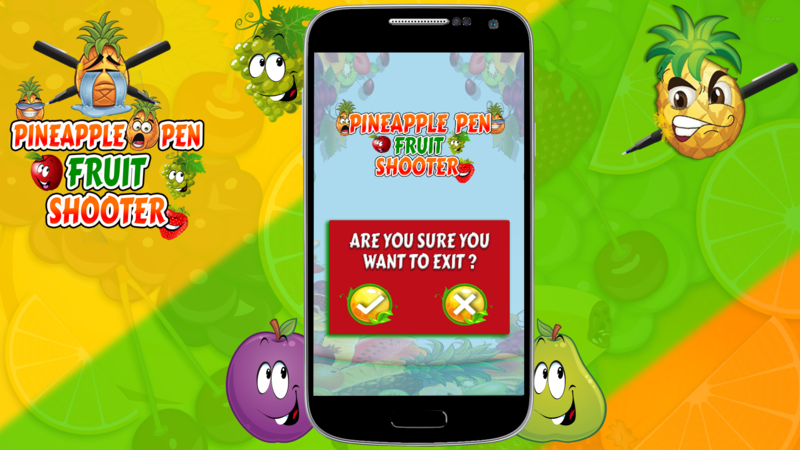 Score as high as you can in the pineapple pen fruit shooter fun 2D endless game. Have fun by playing the addictive game in free time.